Sit securely on sloped or flat terrain with GCI Outdoor's patented Hillside Adjustment™ strap and buckle system featured on the Everywhere Chair. BackComfort™ Technology adjusts the backrest to a comfortable position while a mesh panel keeps you cool and comfortable. The shoulder strap with Auto-Fold™ Technology makes it easy to open, close and carry. Sit securely on sloped or flat terrain with GCI Outdoor &apos;s patented Hillside Adjustment™ strap and buckle system featured on the Everywhere Chair. BackComfort™ Technology adjusts the backrest to a comfortable position while a mesh panel keeps you cool and comfortable. The shoulder strap with Auto-Fold™ Technology makes it easy to open, close and carry. 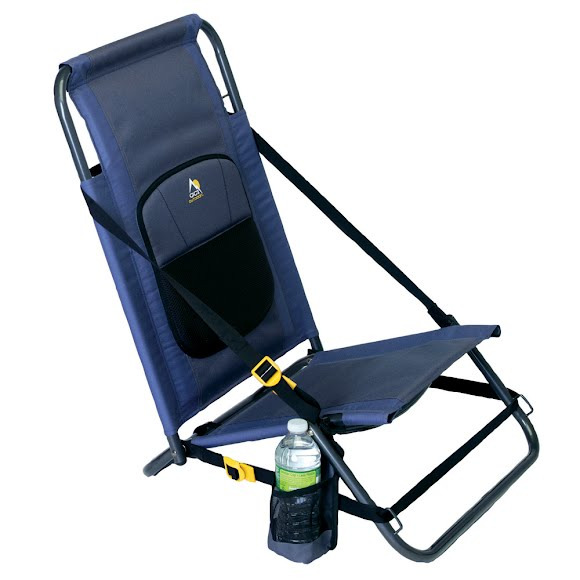 The Everywhere Chair also features a beverage holder.